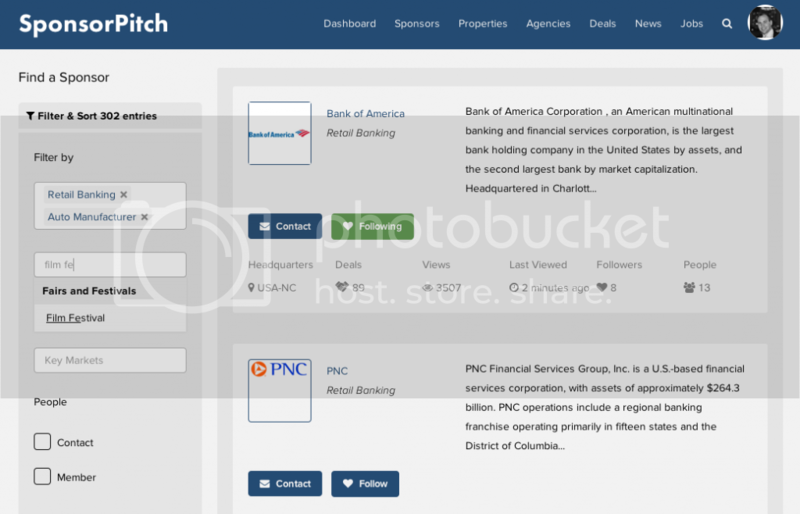 We've added several dynamic new ways to filter and find targeted partners from the pool of nearly 6,000 active sponsors featured on SponsorPitch. 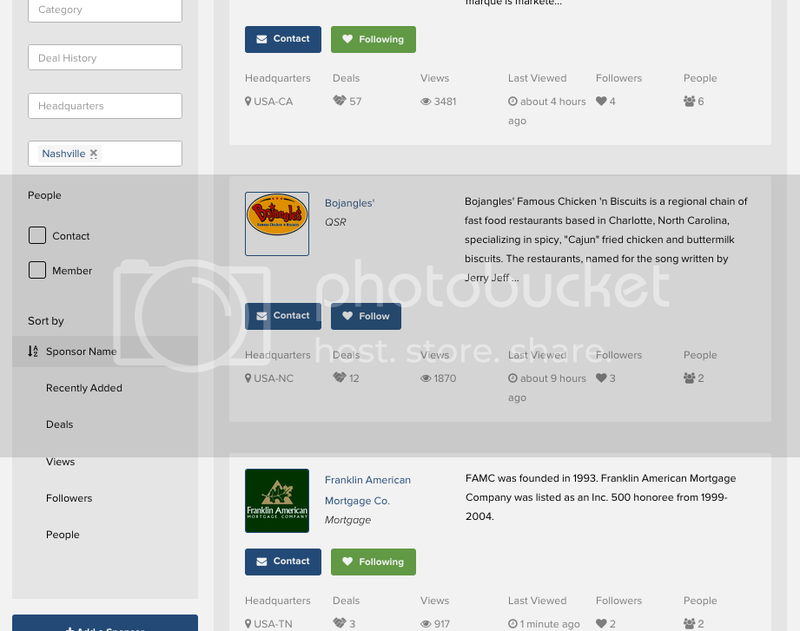 Sponsor filters now include auto-suggest, so while you can scroll through hundreds of available options if you like, you need only type in a few letters if you already have an idea of the sponsor category, type of sponsorship, key market city or headquarter location that you're looking to search by and the most appropriate matching selection will appear for you to click on. Now, say for instance you want to see brands that sponsor in a particular market, such as Nashville. Just enter Nashville in the Key Markets tab and the results will filter on the right hand side like this..
Headquarters works pretty much the same way as key markets and multiple filters can be run at once to hone in on your most qualified leads if say you want to see restaurants (category) headquartered in California (headquartered) that sponsor minor league baseball (deal history) and do deals near Fresno (key market). 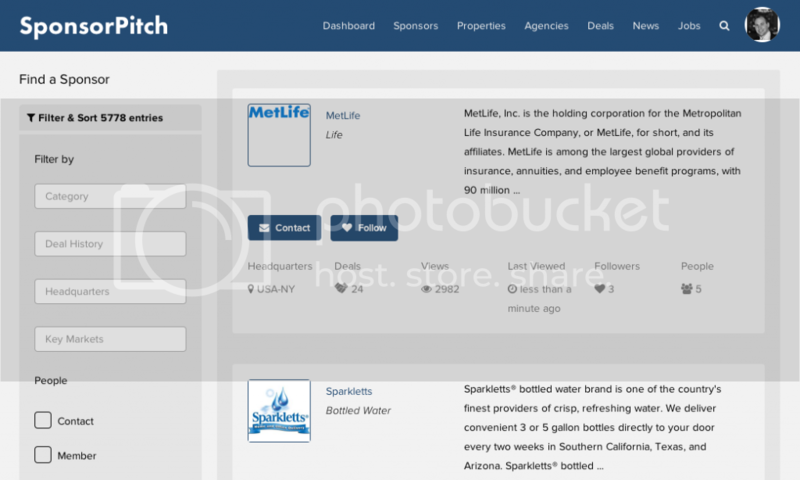 Category: Filter sponsors by over 440 different sponsorship business categories. Deal History: Filter sponsors by what types of events they have sponsored in the past. Choose from 500 different unique sponsorship genres such as music festivals, garden shows, food festivals, football and more. Headquarters: Filter sponsors by company headquarter location. This is searchable by country or in the U.S. by state. For states, type USA-TX, USA-FL, etc. Key Markets: Filter sponsors by cities where they have sponsored in the past. People: Select Member to see sponsors who have active members on SponsorPitch or Contact to see sponsors with available contact information.